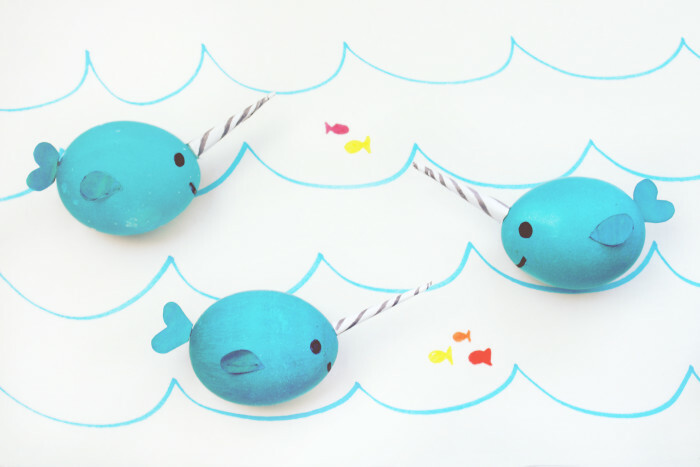 I bet you remember when you found out narwhals were real, I sure do! They’re like unicorns mixed with whales and they actually exist! I remember telling everyone “Hey you know that creature at the beginning of Elf that wishes Buddy luck? That is actually a real animal!” And they were always shocked too. So I thought I’d use these magical creatures as inspiration for cute little creature eggs this Easter. 1. Dye your eggs any shade of blue. I achieved my dark teal color by mixing the blue and denim colored tablets from one of those generic color dyeing kits I got at the grocery store and followed the directions on the back of the box. 2. 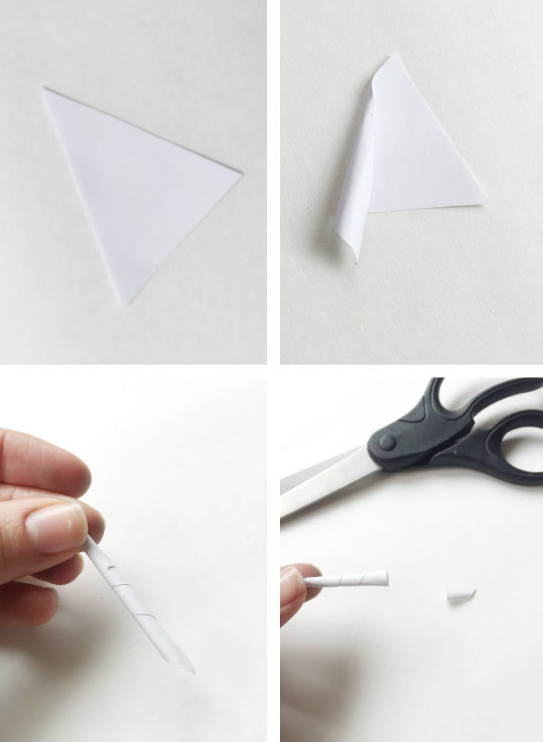 Cut triangles out of plain copy paper and roll them up from the corner to make a cone shape and glue it shut. 3. Use a gray marker to draw the lines down the horns. 5. 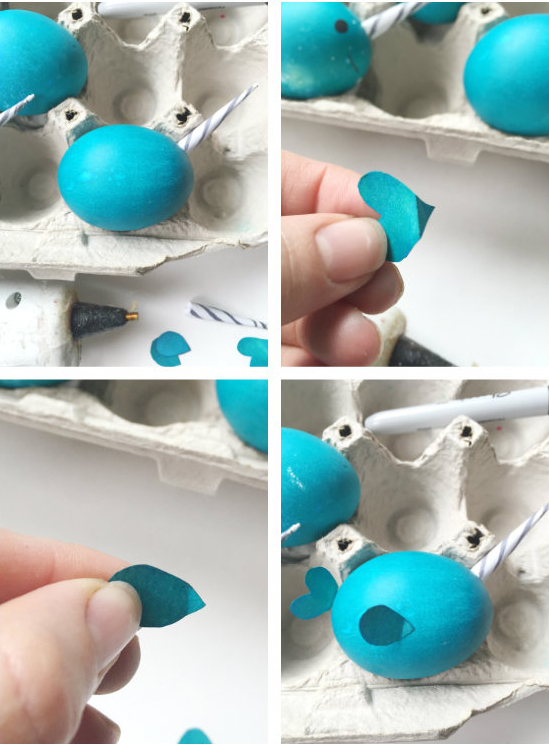 Use a hot glue gun or super glue to attach the horns to the upper side middle of your eggs. 6. Bend the heart shapes back at the bottom, place a tab of glue there and attach this to the opposite end of the egg. 7. Bend the tear shape a little, place glue there and place this on the front middle of the egg. 8. 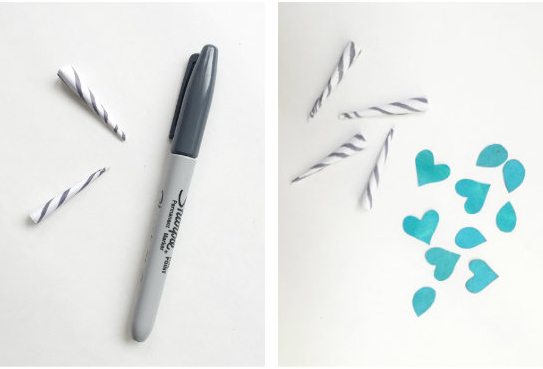 Use a sharpie to draw little eyes and a smile! 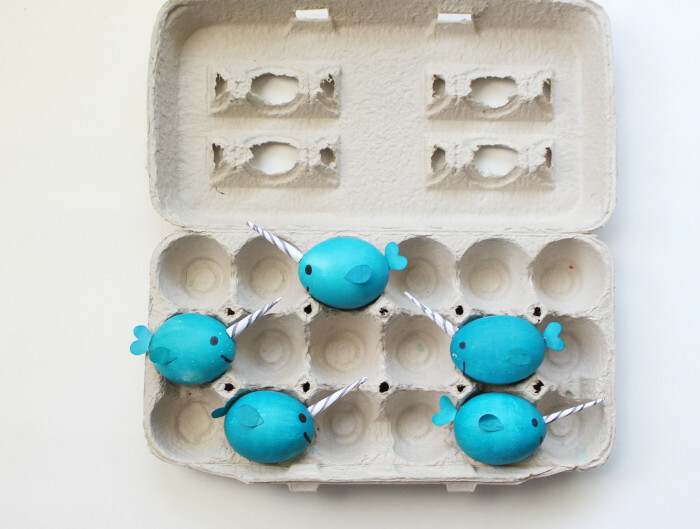 Now your eggs can be magical just like real narwhals ;) I love it! 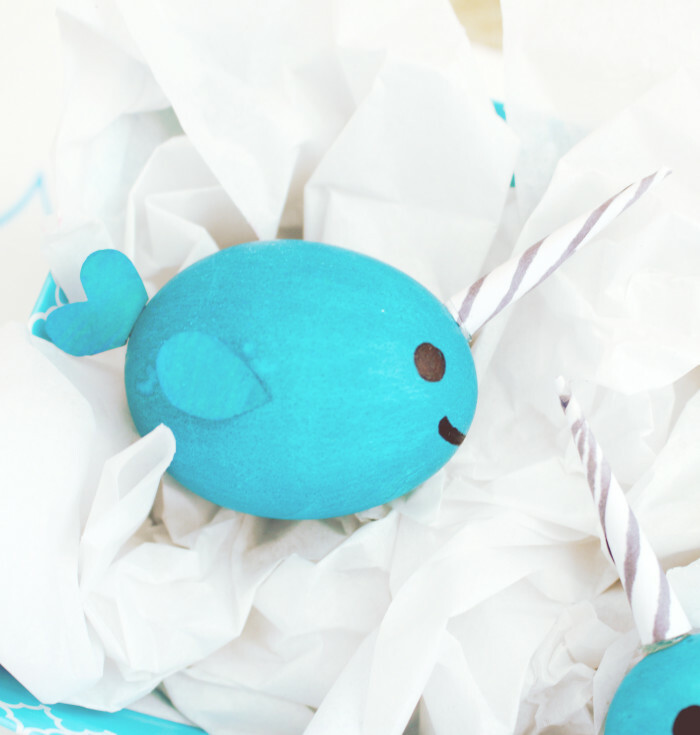 Or you could leave the horns off and have whale eggs for a nautical themed party! Still so cute! These are all so adorable. You are doing such an amazing job. Thanks so much for sharing! Thank you so much Katie! We’re blushing! These are just so cute! Thank you for sharing. Adorable! 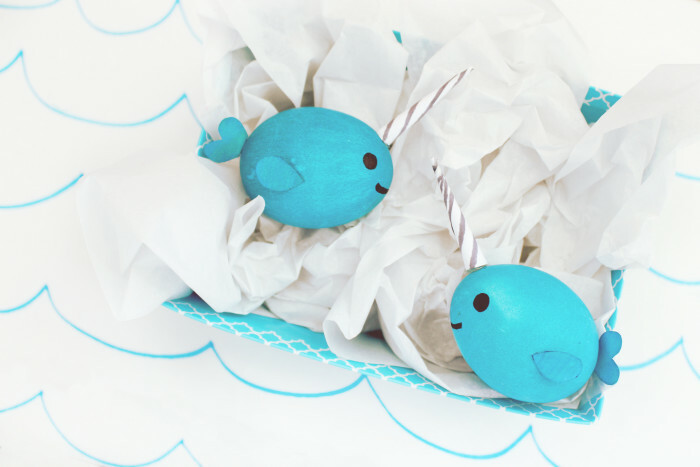 Featuring on our Easter Coastal Blog today – with a link back to your instructions. Way too fun. Thank you so much Caron!